Finding the Tenneson Nissan website isn't like finding a needle in a haystack -- it's like finding gold in "them thar hills!" 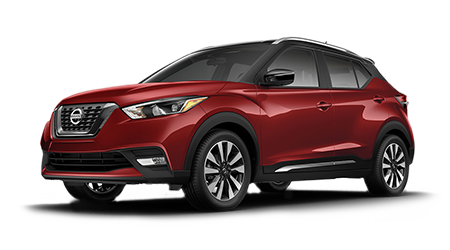 We have an unbelievable selection of all models, trims, and colors that Nissan owners desire, so you're certain to find the perfect vehicle for you. We take pride in our amazing sales professionals who offer unsurpassed customer service and fantastic deals on all our new Nissan vehicles in stock, including our gorgeous fleet of sedans, SUV's, hatchbacks, hybrids, trucks and vans. Our "Transparent Pricing" allows you to get an instant purchase or lease quote online, so you'll know your price even before you come in. Tifton, GA residents can rest assured that Tenneson Nissan will treat you with the utmost respect, and you won't be spending the day here haggling. Once you find the car of your dreams at Tenneson Nissan, you'll driving it home in no time. 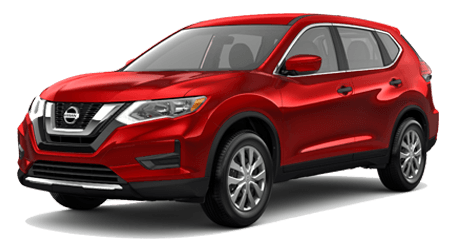 Tenneson Nissan is also your destination dealership for used or certified pre-owned Nissan models if you prefer to avoid the immense depreciation that accompanies a new car. We also carry makes from other auto manufacturers, so you've got plenty of choices in the pre-owned department. Whether it's a sports coupe or SUV, our used vehicles are not resold until we're satisfied they're in tip-top shape. And for more peace of mind our certified pre-owned Nissan vehicles are held to even higher standards and is a fantastic way to have the utmost confidence in your used vehicle. Tight budget? No problem, because Tenneson Nissan has a fantastic selection of late-model used vehicles under $10,000, plus we have daily deals where you can find even greater discounts on the used vehicle that suits your needs. It's not always easy to find a mechanic you can trust to service your Nissan or other vehicle makes, but Tenneson Nissan removes that concern for you with our stellar Nissan Service Department. Our factory-trained, ASE Certified Nissan technicians are adept at repairing or maintaining all types of vehicles -- anything from Nissan warranty work to scheduled maintenance to brake repair. Many of our service prices are clearly posted right on our website, and you can easily schedule service via the Tenneson Nissan online form or call one of our Service advisors. We use only genuine OEM Nissan and NISMO replacement auto parts and other high-quality components in other makes. And if you're adept at fixing or accessorizing your Nissan yourself, simply order apart from our e-Store and it will be shipped directly to your home, or call our Parts advisors and have them assist you. Our finance team at Tenneson Nissan works with dozens of lenders so we know we can get you into the Nissan vehicle you desire. You can get pre-approved for financing in seconds on our website, and if your credit has taken a hit, there's no need to be concerned. We know how to help you rebuild your credit by structuring a loan that will work for your financial situation. And we take the guessing game out of what you can afford with our online Finance Calculator, where you can estimate your payment with the interest rate you were shown, based on the sales price and terms of your loan. You can also calculate your fuel savings, so you can be assured of how far your savings will travel in your new Nissan from Tenneson Nissan. The courteous staff at Tenneson Nissan would be honored to have our friends in Tifton, Valdosta, Albany, and Thomasville, GA make us your go-to dealership for all your Nissan and vehicle needs. We relish the chance to earn your business when you visit us at 535 Old Omega Road in Tifton, GA. So take some time out of your day to stop by so we can show you how friendly and affordable a car dealership can be!